Posse Catches Horseback Train Robbers in a Touring Car What kind of traffic signals and traffic laws were in place in towns the early years of the horseless carriage? Did you ever wonder what kind of traffic signals and traffic laws were in place in towns the early years of the horseless carriage? Traffic moved pretty slow so there wasn’t much of a need for traffic signals until the late 1880s. However, there were fines for racing your horse or buggy down city streets. Speed limits were set at 10 mph. The horse and mule lobby fought the new horseless carriage aggressively. The Horse Association of America was created in the early 1900s to more or less to fight back against those evil automobiles. One example was a law requiring the driver, when reaching an intersection to stop, get out of the vehicle and blow a bugle before getting back into his auto and crossing. Often times during the 1890s and into the early 1900s city policemen enforced traffic laws with bicycles. The usual traffic fine was $10. of Prescott. History doesn’t record whether or not the posse was riding bicycles. 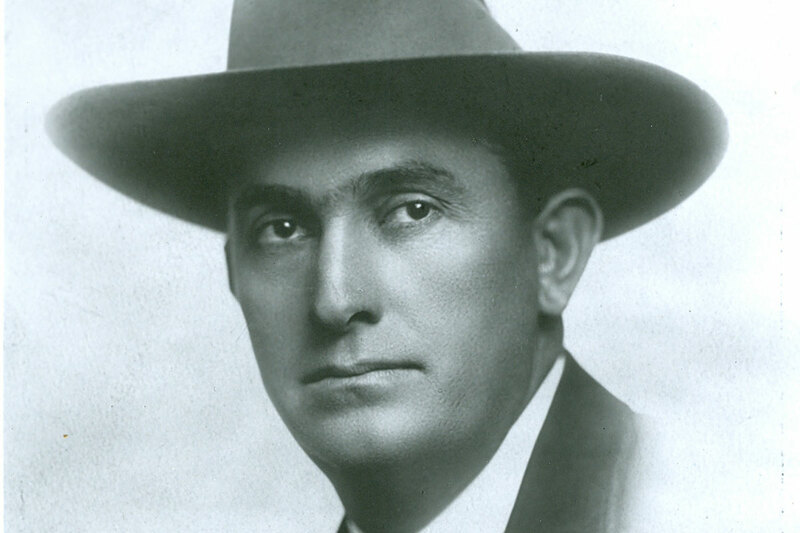 In 1910, Maricopa County Sheriff Carl Hayden gained national fame when he pursued a pair of train robbers down near the Mexican border in an automobile. The youthful Woodson brothers, later to be known as the “Beardless Boy Bandits.” They rented guns and horses in Phoenix, rode to the Gila Riva crossing where they tied their mounts in some brush, then walked to the Southern Pacific Railroad station at Maricopa and purchased tickets to Phoenix. As the train approached the Gila River, the boys pulled their pistols and ordered the conductor to halt the train. The robbed the passengers of some $300 and after pistol-whipping one, they jumped off and ran to their horses, mounted up and headed across the desert bound for Mexico. It was the first train robbery in Arizona in several years. When Sheriff Hayden got the news, he raised a posse and headed for the crime scene. Tracks revealed the robbers were heading south. Using Pima Indian trackers to lead the way the Hayden sent the posse in hot pursuit out into the inhospitable Sonoran Desert while he requisitioned a $3,000 Stoddard-Dayton touring car from the owner of a local hotel. The owner of the car, J.F. McCarthy consented to be chauffeur. The two caught up with the posse at the small Tohono O’odham village of Cucklebur. The hot arid desert had taken its toll on both men and animals. Hayden figured it had done the same with the bandits. He left most of the posse in the village, loaded a couple of men in the back seat and they went off in pursuit. Bouncing across dry arroyos and dodging cactus and greasewood through a land with no roads. The trail was easy to follow as the boys had made no effort to cover their tracks. Hot, exhausted and out of water they stopped to rest in an arroyo. When they saw a cloud of dust from the speeding automobile and figured some prospectors were the occupants so they rushed out waving their arms. They got the surprise of their lives when the officers jumped out of the car, rifles cocked and ready. One of the boys quickly raised his hands in the air but the other was not quite ready to quit. He kept one hand in his pocket, gripping his rented smoke wagon. “Throw up your hands or I’ll shoot.” One of the deputies shouted. Hayden, unloaded pistol in hand, cautioned the deputy to go easy and in a calm, steady voice, called on the lad to put his hands up. Deciding that discretion held sway over valor, he meekly raised his hands. The boys were shackled and amid much fanfare, taken to Phoenix. It marked the first time a posse had pursued outlaws in an automobile. Carl Hayden’s feat became national news. Following the arrest of the two train robbers, his reputation as a cool and efficient lawman spread far and wide. Two years later Arizona was about to become a state and Hayden threw his hat in the ring to run for Arizona’s lone Congressional seat. He won easily and remained in the House until 1926 when he ran and won a seat in the U.S. Senate where he remained until retiring in 1969.
horseless carriage had begun. After crashing into a giant saguaro, Dr. Fenner also holds the distinction of having the first accident in the territory. 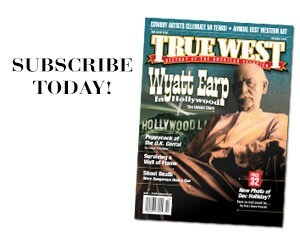 Marshall Trimble is Arizona’s official historian and vice president of the Wild West History Association. His latest book is Arizona Outlaws and Lawmen; The History Press, 2015. If you have a question, write: Ask the Marshall, P.O. Box 8008, Cave Creek, AZ 85327 or email him at marshall.trimble@scottsdalecc.edu. Where is Morgan Earp’s wife, Louisa, buried? Why did Army paratroopers during World War II shout “Geronimo” when they jumped? 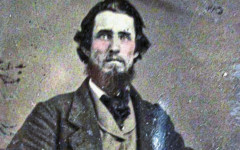 The Father of Montana Granville Stuart blazed a huge trail on the American frontier.